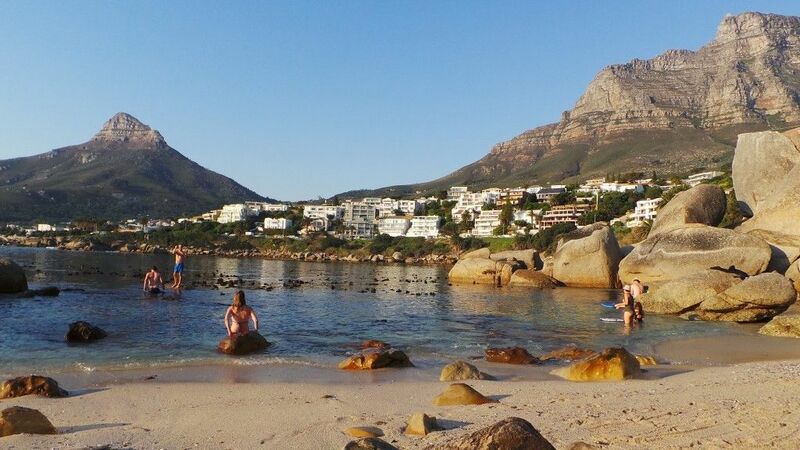 Bakoven, a tiny suburb bordering a small, secluded beach, this beach is one of Camps Bay’s best kept secrets. Bakoven, a tiny suburb bordering a small, secluded beach, this beach is one of Camps Bay’s best kept secrets. Its name came about from the Dutch settlers, literally meaning “baking oven”, and refers to a large rock off the beach that looks like an open oven, similar to those used by the early Dutch settlers. The shelly white sand is surrounded on both sides by a combination of big boulders and rocks, with a narrow channel of ocean, through which the NSRI rescue boats are launched. Private and sheltered, this private area offers an ideal summer experience for the whole family. Famous for its breath-taking sunsets, and privacy from the crowds, yet only a 10 minute walk to the hustle and bustle of the Camps Bay Strip. 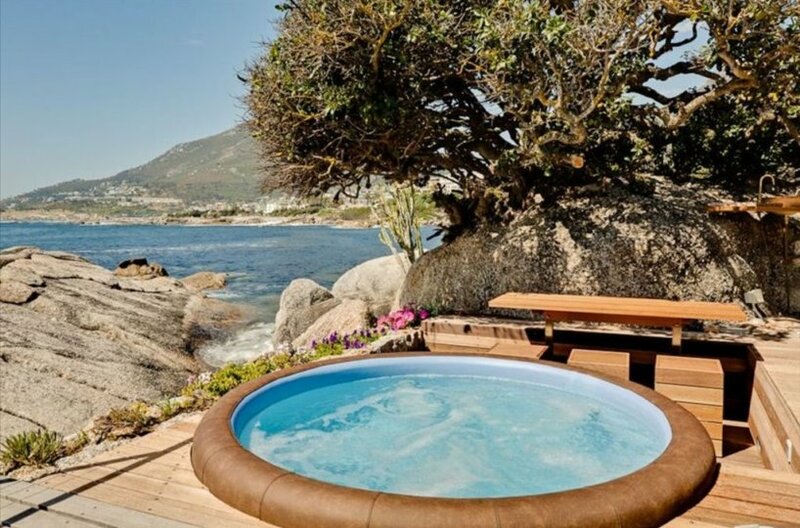 Bakoven is an expensive exclusive Beachfront suburb in Cape Town, adjacent to Camps Bay, with heavenly views of the scintillating Atlantic Ocean, surrounded by a glorious fynbos Nature Reserve. 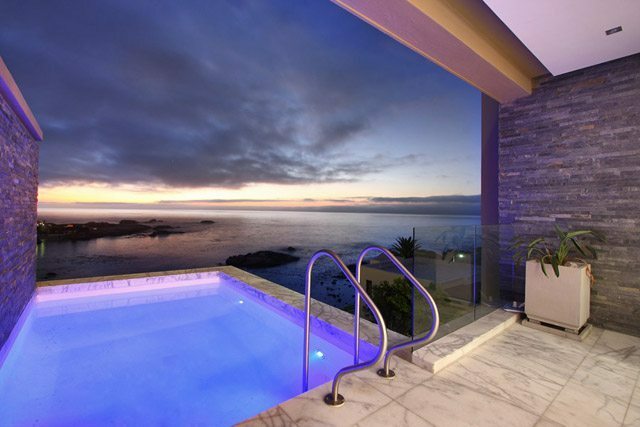 With all the fashionable amenities of Camps Bay and Cape Town city nearby, it is however tucked away in a secluded almost hidden position overlooking tiny beaches and coves, with the magnificent backdrop of the Twelve Apostle mountains behind. The suburb is almost entirely residential, but shops, hotels and restaurants are easily accessible in neighbouring Camps Bay. The suburb itself is tranquil and peaceful. It is the last suburb out of Cape Town on Victoria Road past Clifton, positioned between Camps Bay and the wild Nature Reserve. Thereafter the coastline is protected, with thousands of acres of mountain Nature Reserve. The scenic drive from there to Llandudno and Hout bay is one of the most astonishingly beautiful and impressive in the Cape. The small beaches and coves of Bakoven are sheltered, with enormous boulders, ideal for sunbathing and relaxing. At Beta Close the beach is fine for swimming, but Camps Bay beach is close by, an extensive Blue Flag beach with lifeguards. Camps Bay beach is long and wide, perfect for water sports like swimming and surfing. There is also a surfing school and a Sea Rescue Base. Oudekraal is another lovely beach close by. Many years ago there was an old settlement of Khoi San people there, the original people in the Cape. It has an interesting dive site with corals and a 1698 shipwreck. Further along the main road past Bakoven at Koeel Bay, there is an open air curio market selling handmade African crafts. There are many different Hiking trails up Table mountain and Lion’s Head with fantastic views. The Pipe track is not too strenuous. Paragliding is available from Lion’s Head, landing on the lawn of the Glen Country Club. The Cable Car to go to the top of Table Mountain is a short distance away up Camps Bay Drive. 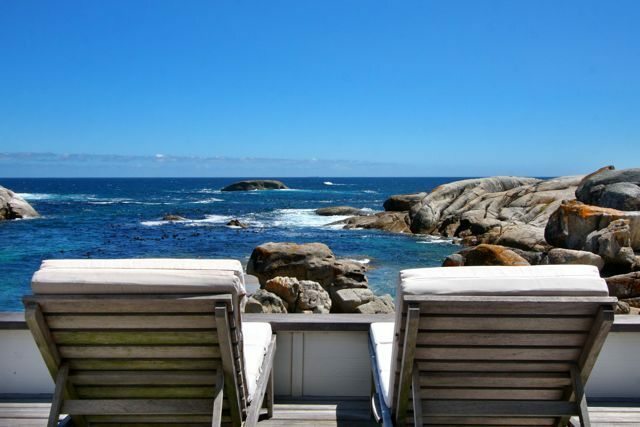 Although Bakoven is secluded and quiet, it is next to Camps Bay, which is a sophisticated international tourist destination. Here there are restaurants, bars, cafes and hotels looking out at the beach, for drinks, lunch or dinner, and to enjoy the view. The sunsets are especially magnificent as Bakoven is on the west face of Table Mountain. The Theatre on the Bay has plays, and sports clubs in Camps Bay have bowls, cricket, soccer, squash and tennis. There are Health spas in Camps bay village.